Have you ever watched a weather report? When the program is over, you often see the signature of the speaker(s) displayed on the screen. It is possible to reproduce this effect in TVPaint Animation, using the Paint > AutoPaint effect. This is the perfect way to dynamically sign your future animated works of art! 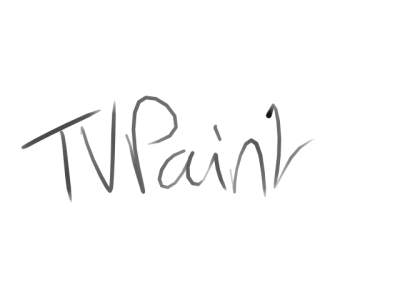 go onto an empty animation layer, click on the Record a stroke button in the AutoPaint effect and then draw your signature on the screen. * When this is done, click on the Stop button or press the [Escape] key. You have now recorded the signature in the program memory. A long series of keys is visible in the timeline (see below). * Delete the current image on the screen (i.e. 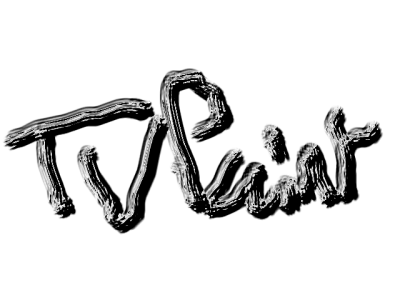 the signature). * Select the tool of your choice and adjust its parameters for the future stroke of the signature. * Stretch your animation layer so that it covers all keys of the timeline. * Select all its images and then apply the FX stack. 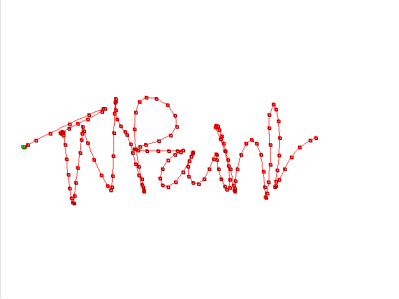 When you play the project you will note that the signature is “drawn” progressively on the screen. * You may stretch or contract the set of keys right after recording the stroke as indicated above. * You may create an layer with the number of images desired and select all images before recording the stroke. * Recording the stroke generates a large number of key points on the timeline each of which stores the position of your stylus at a given moment. When the stroke is recorded, you may modify the position of the stylus on the screen for the key of your choice thanks to the numeric fields X and Y. * For a given key, the Draw button indicates if the stylus was in contact with the tablet or not. If it is not enabled for a given key, there will be no stroke for this key (e.g. this is the case if you lifted the stylus during recording). * Recording a stroke with the AutoPaint effect allows for other recordings, too : in particular the data relative to Pressure, Altitude, Azimuth and Finger wheel available on the tablet. It is also possible to choose whether this data will be restored or not when applying the FX stack by checking or unchecking the corresponding boxes. * The section Stroke mode offers several choices : Normal, Size, Full and Last. - The Normal mode progressively reproduces your stroke on the screen. This is the one we have been using since the beginning of this lesson. - The Size modes requires adjustment of the parameter with the same name and will erase the stroke progressively in time. - The Last mode is a kind of Size mode parameter set to value "1", which only draws one "point" of the stroke at a time. - In Complete mode the complete stroke is drawn on the screen, independent of the circumstances. 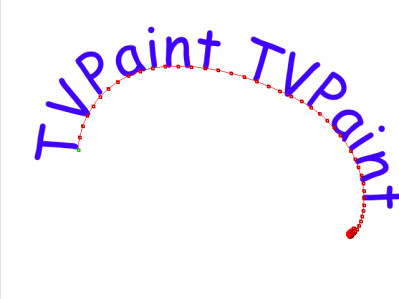 * The last is the Noise parameter: it defines a possible deviation from the original path and is used to obtain less regular curves (see opposite, the TVPaint logo is slightly distorted, as if written with a trembling hand). 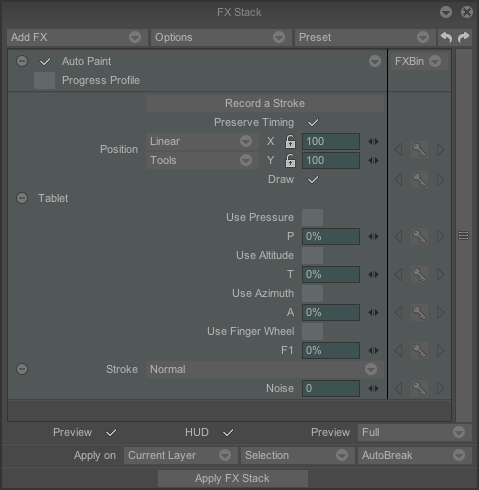 The AutoPaint effect is in a way similar to the Re-apply option as the result depends on the drawing tool selected just before application of the FX stack. Opposite, after recording a simple stroke in the shape of a semi-circular arch, the AutoPaint effect was applied using the TextBrush tool in Letter mode with the rotation parameter connected to the stylus direction. The text seems to follow the defined path in time, each letter having its own rotation depending on its position on the path.